The Pushkar Fair, or Pushkar ka Mela, is the annual five-day camel and livestock fair, held in the town of Pushkar in the state of Rajasthan, India. It is one of the world's largest camel fairs, and apart from buying and selling of livestock it has become an important tourist attraction and its highlights have become competitions such as the "matka phod", "longest moustache", and "bridal competition" are the main draws for this fair which attracts thousands of tourists. In recent years the fair has also included an exhibition cricket match between the local Pushkar club and a team of random foreign tourists. 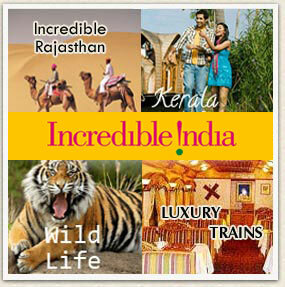 The Pushkar Cattle Fair is one of the largest in India and the only one of its kind in the entire world. 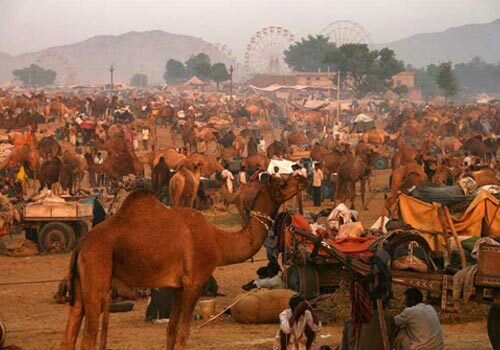 During the fair, Lakhs of people from rural India flock to Pushkar, along with camel and cattle for several days of livestock trading, horse dealing, pilgrimage and religious festival. This small town, becomes a cultural phenomenon when colourfully dressed devotees, musicians, acrobats, folk dancers, traders, comedians, ‘sadhus’ and tourists reach here during Pushkar fair. According to Hindu chronology, it takes place in the month of Kartika (October or November) beginning on ‘ashtmi’ 8th day of Lunar Calendar and continues till full moon (‘Poornima’). The camel and cattle trading is at its peak during the first half of festival period. During the later half, religious activities dominate the scenario. Devotees take dips in the holy "Sarovar" lake, as the sacred water is known to bestow salvation. The backwaters of Kerala apart from being a major tourist attraction are also venues for yet another splendid, unparalleled attraction of God's Own Country - Boat Races. 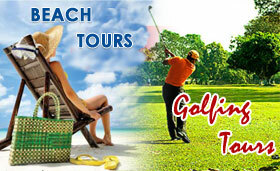 The boat festivals of Kerala are one of the chief and popular festivals of Kerala that tourist must experience during their Kerala travel and tour. 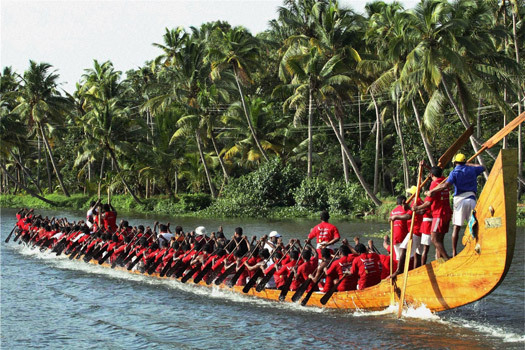 Kerala boat races are an event that is as much part of the land's ethos and is a sport that signifies the excellent team spirit, integration and amity of the people. The vibrant fiestas that bring alive the tranquil Kerala backwaters, when fierce Vallom Kallies (boat races) and water carnivals erupt every year in a dramatic spectacle and hold tens of thousands of people spell-bound, cheering the action, laying bets, goading the boatmen to row faster. Since the chief occupations of the natives are agriculture and fishing, the annual boat races are actually a platform for the display of physique and muscle power of the local people. The oarsmen and boats are selected and maintained in such an indigenous fashion as to give an exemplary performance. These boat races also bred communal harmony and unity as everybody could participate in them irrespective of caste, creed and classes. Jammu festival is celebrated every year in the months of March- April for fourteen to fifteen days to promote the healthy culture and also to improve the cross border relations between the people from the other side of the border of Pakistan. The festival is a major event that showcases the cultural tradition of the Jammu region of the state of Jammu and Kashmir. 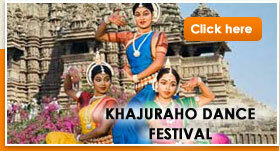 The main attractions during the festival are the plenty of the dance shows, the plenty of the stalls and the street acts performed here. 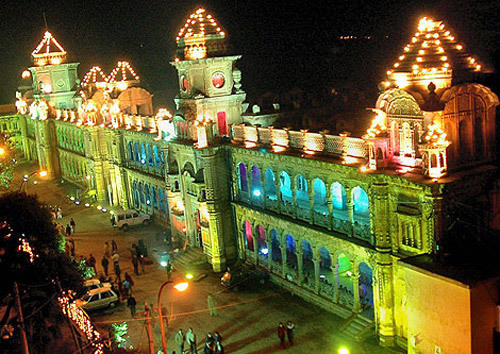 The historic and the major site here in Jammu the Mubarak Mandi complex along with the famous Bahu Fort and the Kala Kendra is illumed with plenty of the lights and the time is also marked by loud music. As we all know that Jammu was for a long time under the rule of the Dogra rulers and hence here there is plenty of Dogri food all around for you to enjoy as you enter the Jammu Haat. The organizers of the festival also held various staged programs in which the special artists are invited to perform for the people and this adds to the festive mood and the celebrations. Other shows during this time that the past years have seen are the light and the sound display at the parade ground, the helicopter joyrides, the handicraft and the handloom products show, the photo exhibition shows, the national painting camps, the book fairs, the film shows etc. The Ladakh festival is an annual fiesta organized by the J&K Tourism Department, in association with local communities and district administrations of Leh. The main aim of this festival is to revitalize and bestow a spectacle of Ladakh's deep-rooted culture, traditions and heritage for the world to admire and enjoy. The festival provides a wonderful opportunity for the tourists to experience the culture and lifestyle of the people in Ladakh. The Ladakh festival usually stretches for at least 15 days. 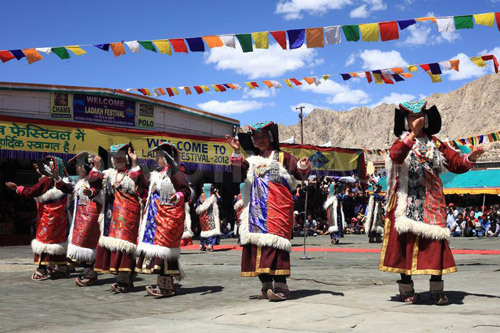 Ladakh festival begins with an inauguration ceremony which takes place on large scale in Leh. A spectacular procession is carried out by various cultural troupes and contingents, local leaders, school children and dancers. They make their way through Leh in ceremonial costumes, performing while singing and dancing to traditional orchestra tunes. The procession finishes at the Polo Ground and participants then perform various folk dances and samples of their regions. The following week is noted with various events and programmes like, Costume dances, Mask dances, Craft stalls, Local cuisines and drinks, Musical concerts, Archery contests, Polo matches, Thanka exhibitions, etc. The festival is carried out for a week or so in many parts of Ladakh region and is enjoyed in various ways. For ages this etoss has continued in the realm of art and culture of india nad embedded into the diverse dance styles prevalent in various parts of the country. 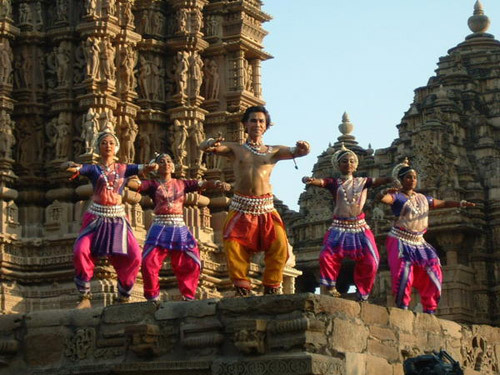 These dances materialize against the backdrop of the glorious temples of Khajuraho, which stand a testimony to the glorious past of India's cultural richness. This temple complex glows with the warmth of sandstone which is ornamented with the sinous curves of sculpture unparalleled in their beauty.